Sunny Kaushal, a.k.a. Spandan Chukya attempted hundreds of auditions, and never gave up on his efforts to get his break in his acting career. And that, is his Never Settle Moment. 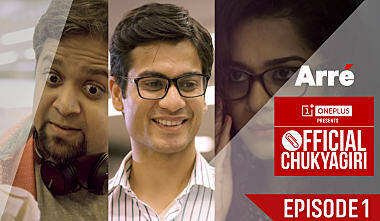 Straight from the sets of Official Chukyagiri, Anand Bhaskar Collective​ has a surprise for you. Gopal Datt, a.k.a. Janitor Chacha does not believe in settling down. So keep going, stay healthy, stay fit and most important - don't stop! And that, is his #NeverSettle Moment.